I’m honored and delighted to be hosting one of the stops on the blog tour for Maria in the Moon today! 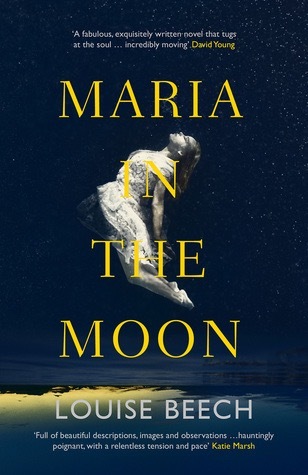 Every once in awhile a special type of book comes along and gets well and truly under my skin, it takes ahold of me, consumes me even and Maria in the Moon was that rare beauty of a book. Louise Beech is an astoundingly gifted writer, reading one of her books is a true honor. I think the blurb for this book is absolutely perfect, it gets your attention yet it doesn’t give so much away that you totally know what to expect. The mystery of Catherine’s ninth year intrigued me enough to want to read it but I had no idea the true haunting, harrowing beauty this book would reveal. Catherine was such a fascinatingly complex woman, she’s exquisitely well drawn. She’s damaged and broken but she’s achingly raw and wholly relatable, I adored her and really cared about her, I was wholeheartedly invested in her story. Her time volunteering at the flood crisis hotline was my favorite part, it was heartbreaking and provided so much insight into her true character. 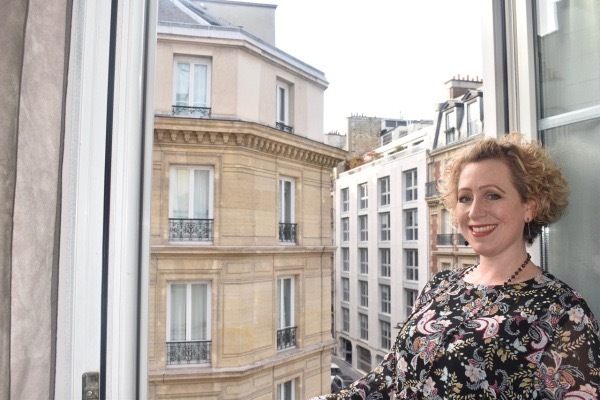 This is such a unique read and one that’s hard to classify into just one standard genre, my friend Chelsea at The Suspense is Thrilling Me said Louise Beech novels are their own genre and I couldn’t agree more. There’s a little bit of everything, a mystery, some love, a hint of magical realism and most importantly, a plot that any human could relate to. Beech is one of the greats, no other author can bring out emotions in me like she can. 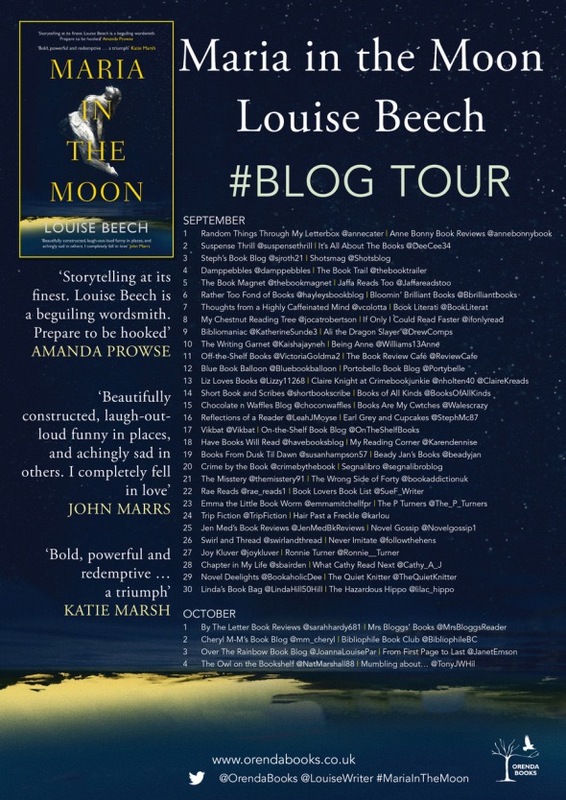 Check out this review of the book, Maria in the Moon, by Louise Beech, as featured on the Novel Gossip blog. It’s such a unique book, I love it because even if I don’t usually read this kind of books, this one was so special for me! Of course! What would you like to know?